Maintain a professional and polished look while keeping flies at bay. 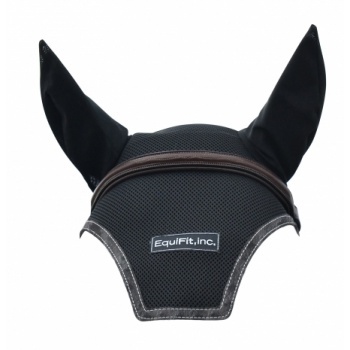 The EquiFit Ear Bonnet keeps the ears, poll and head cool and dry with its multi-dimensional air-mesh. Ears fit comfortably and unbothered under a spandex mesh. Its contoured shape keeps the bonnet in place while the durable EverLeather trim maintains a polished edge. The EquiFit Ear Bonnet is the finishing touch to a winning uniform.